Cakes: Heat oven to 375° F (350° F for dark or nonstick pans). Line bottom of two 10 x 15-inch pans with parchment paper sprayed with baking spray. In a large bowl, beat eggs using an electric mixer for about 6 minutes, until pale yellow and thick. When you lift beater, the eggs should fall in a ribbon. 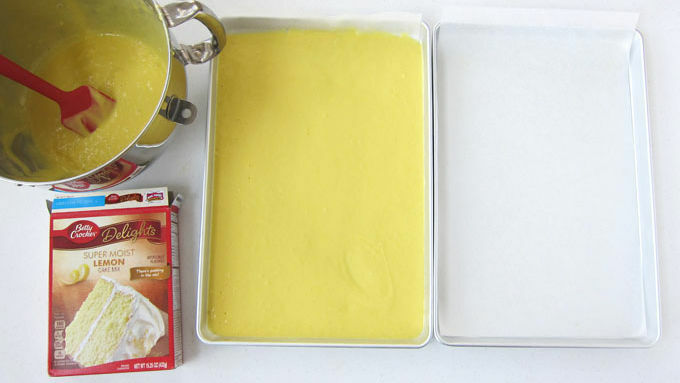 Add cake mix, water, oil and yellow food coloring (if using). Mix on low speed for 30 seconds. Increase speed to medium and beat for 1 minute. Equally divide batter among the two pans. Bake for 10-12 minutes, until cake springs back when lightly touched in the center. 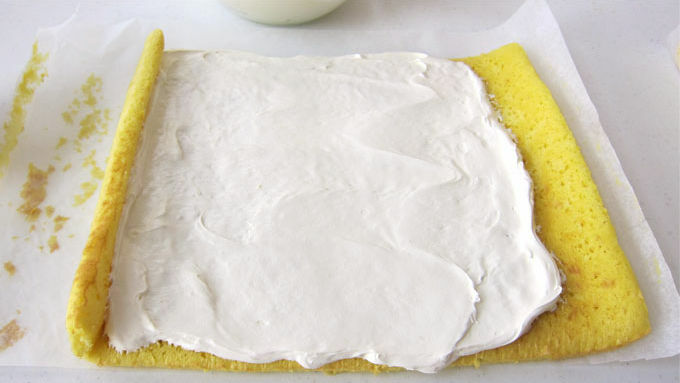 Immediately turn one cake upside down onto a clean piece of parchment paper and peel off the piece of parchment paper that was baked with the cake. Repeat with the other cake. 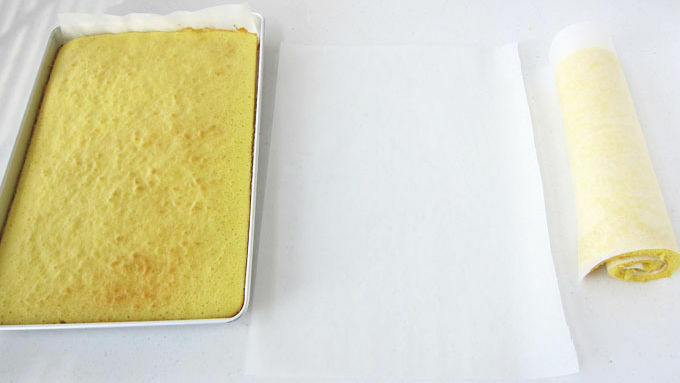 While still hot, carefully roll up cakes and clean parchment paper from narrow end. Tape ends with masking tape. Cool for 10 minutes at room temperature, then place in refrigerator for 1 hour. Filling: Beat cream cheese until creamy. Add marshmallow fluff and beat until fluffy. Unroll cakes and spread half the filling over each. Re-roll. Glaze: Combine powdered sugar with 2 tablespoons lemon juice. Add more lemon juice, as needed, until you have a nice pourable glaze. Pour over cakes. 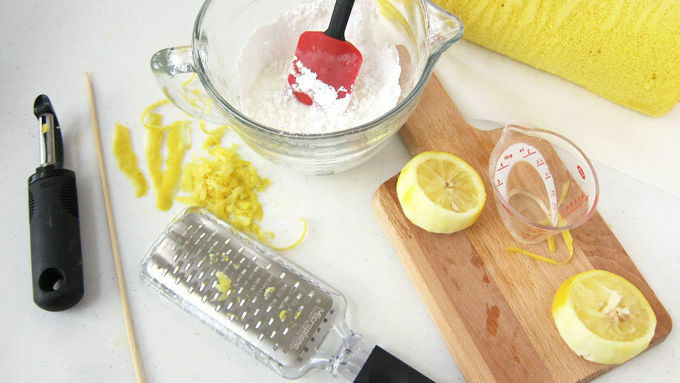 Top cakes with curls of lemon peel or lemon zest. Add a ray of sunshine to your meal by serving this pretty lemon cake roll filled with cream cheese fluff for dessert! 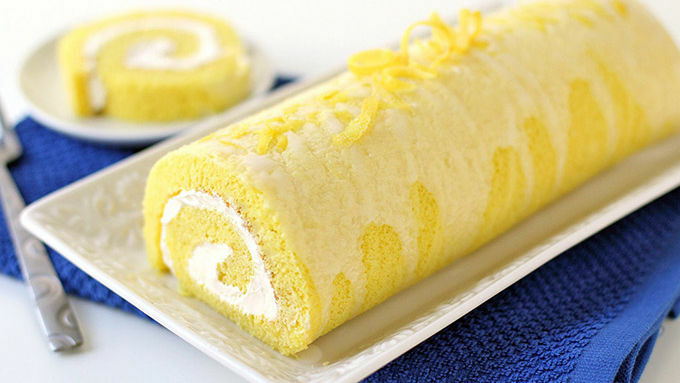 Each slice of cake reveals vibrantly colored lemon cake swirled with bright white cream cheese filling. The contrast of tart lemon cake with the cheesecake-like filling will make even your taste buds smile. This recipe makes two cake rolls from one Betty Crocker™ Super Moist™ Lemon Cake Mix, so you'll have plenty of sunshiney goodness to share. Top cakes with lemon curls or zest, if desired. Enjoy!